Tomatoes, onions, garlic, oh my! 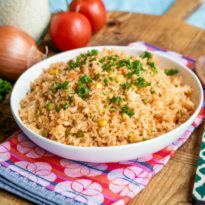 This authentic recipe for Spanish Rice is sure to impress as it is quick, simple, flavorful, and technique-driven to ensure the perfect texture every time! All your missing is a side of beans and a margarita to go with it. 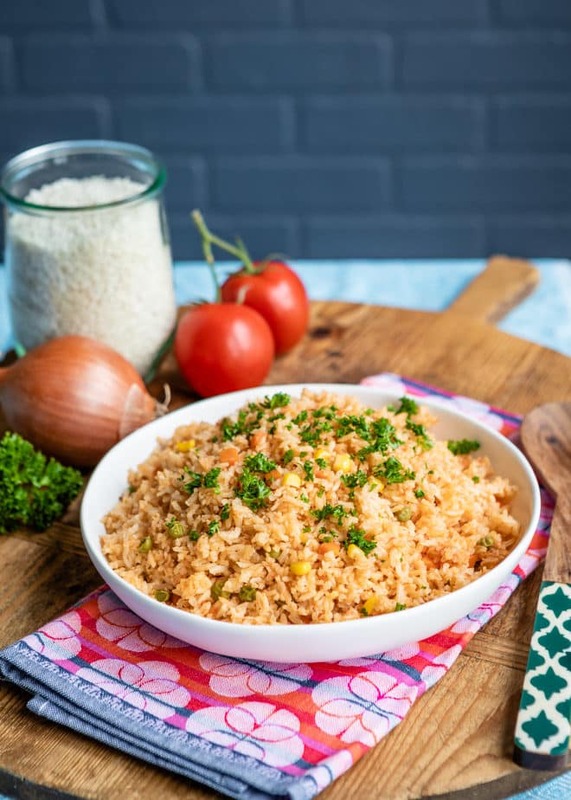 Spanish rice, red rice, or arroz rojo, is a side dish popular in Mexico and throughout the United States (especially in the Southwestern region). While it is called Spanish Rice, the recipe is not part of the cuisine of Spain. 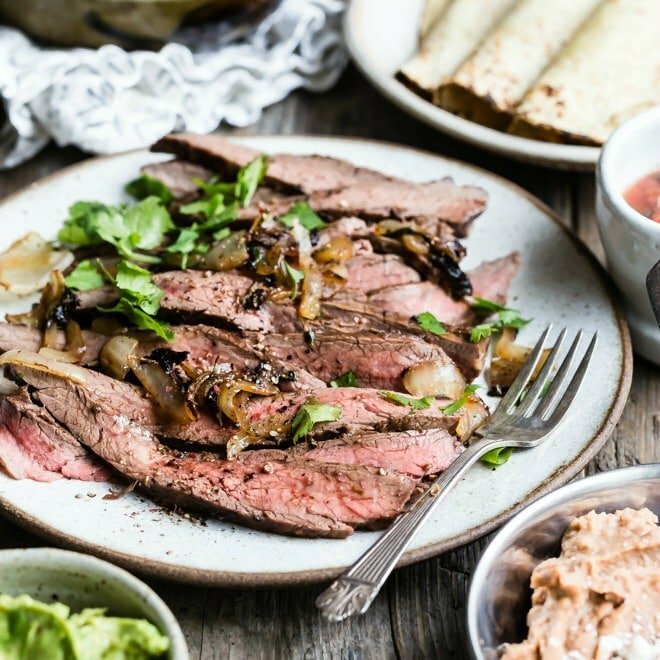 The recipe is very similar to Mexican Rice and indeed, people use the terms interchangeably. 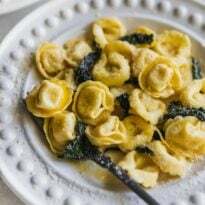 Need to double or triple this fabulous recipe? Click and slide the number next to ‘servings’ on the recipe card below to adjust the ingredients to match how many you’re feeding—the recipe does the math for you, it’s that easy. What is in Spanish Rice? Spanish Rice is a traditional side dish made from rice, tomatoes, onions, garlic, and vegetables, if desired. The rice is first toasted until light golden in color and then water or chicken broth is added along with tomato-onion puree. Broth, seasonings, and vegetables are added and everything simmers on the stove top until tender. 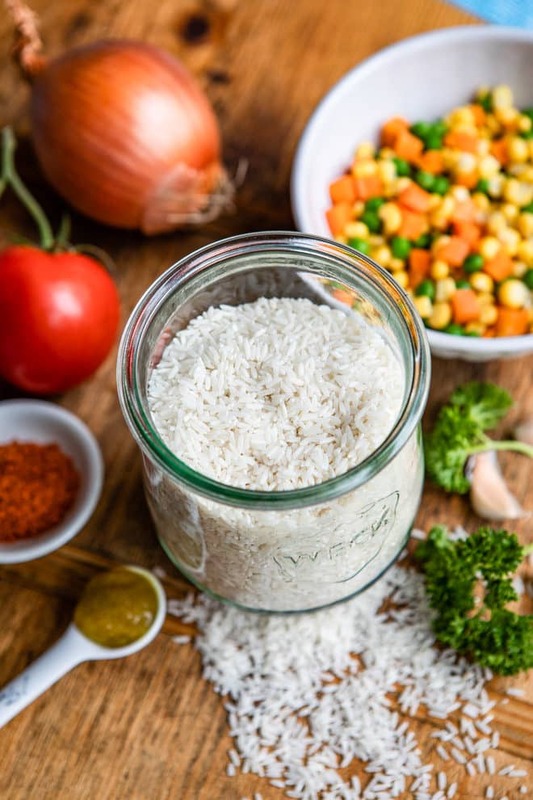 Why do you toast the rice before cooking? Toasting the rice prior to adding the liquid ensures a crispy exterior and fluffier texture as your end result. Not only does it add a subtle nutty flavor, but toasting the long grain white rice yields a cooked, yet firm grain. 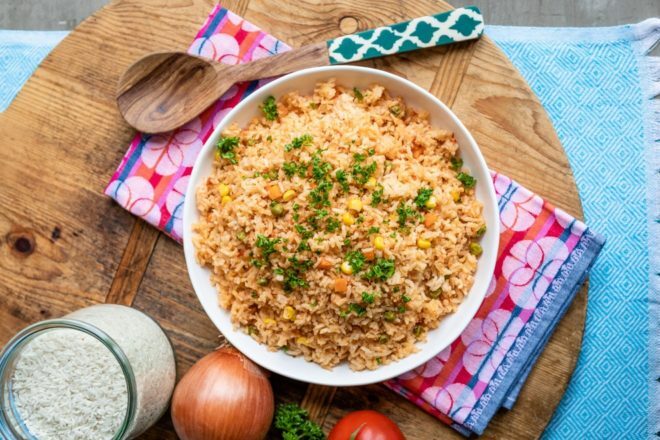 When it doesn’t clump and you can see each individual grain, every Spanish grandma will thank you as you have mastered the art of cooking authentic Spanish rice. 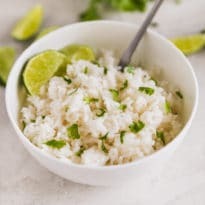 What is the proper ratio of rice to liquid? For every 1 cup rice, 1 ¾ cups liquid should be used, resulting in a fluffy texture. No clumpy rice today! What is a good substitute for chicken base? One teaspoon of chicken base equals one bouillon cube and vice versa. Once added to a cup of water, it is the same as one cup of chicken broth, so by all means, feel free to substitute 2 ½ cups chicken broth for the bouillon cube, chicken base, and water. Can I make Spanish Rice vegetarian? Yes! All you have to do is omit the bouillon cube and chicken base. Simply use 2 ½ cups plain water or vegetable stock. Can I make Spanish Rice with brown rice? Yes, absolutely! Increase the cooking time to 50 minutes (or slightly longer) until the rice is tender. If you have partially cooked (converted) brown rice, it will be done in about 17 minutes. 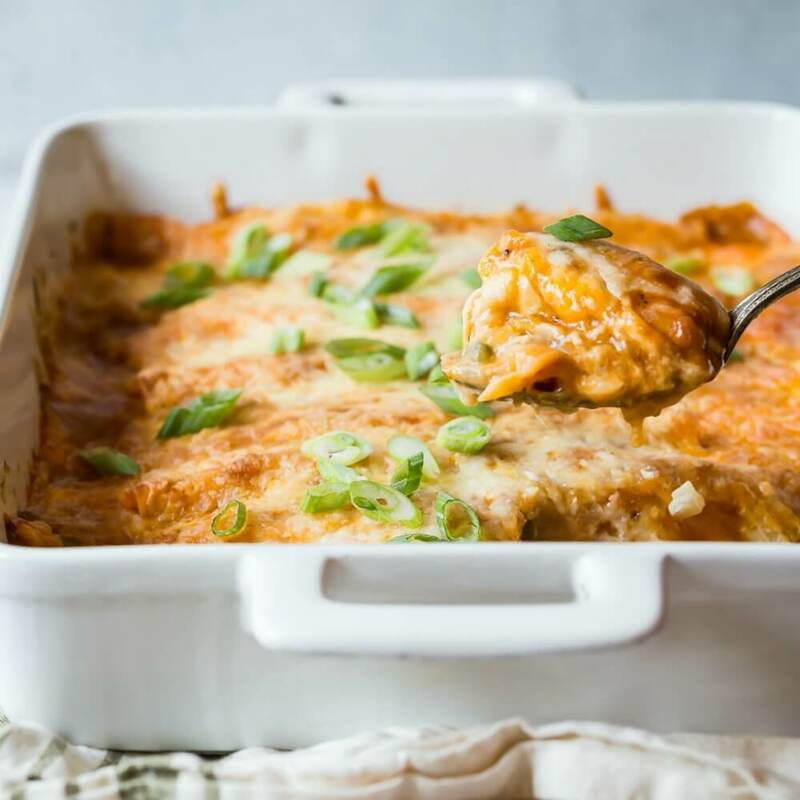 Save this Spanish Rice to your “Side Dishes” Pinterest board! In a food processor or blender, puree the tomatoes and onions until smooth. Pour into a liquid measuring cup; you should have about 2 cups of puree. Meanwhile, heat oil in a large Dutch oven or a 3-quart saucepan until shimmering. Add the rice and sauté, stirring frequently, until light golden in color, about 10 to 15 minutes. Stir in garlic until fragrant, about 15 seconds. Stir in tomato puree, bouillon, chicken base, water, vegetables, and 1 ½ teaspoons salt. Bring to a boil. Cover and simmer until rice is tender, about 13 to 16 minutes. Fluff rice with a fork and season to taste with additional salt if desired. To make the Spanish Rice in a rice cooker, follow the recipe through Step 4. 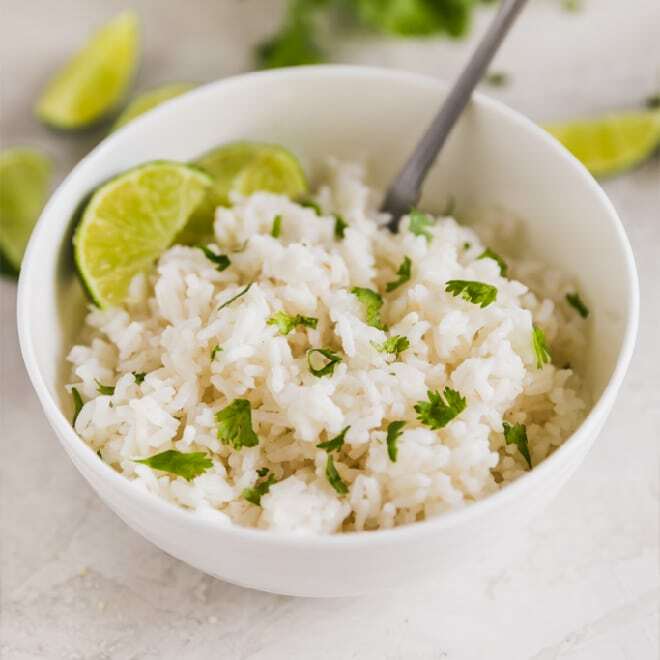 After bringing the rice to a boil, transfer it to your rice cooker (coated with nonstick spray), close, and cook according to manufacturer instructions. Mine takes 33 minutes on the "White Rice" setting.